For many years, Twin Cities pianist Laura Caviani marked the October birthday of one of her muses, Thelonious Monk, with a performance of his music, usually at the Dakota or Artists Quarter. It’s been a few years now since the AQ closed and since we’ve had the opportunity to enjoy Laura’s tributes. Now, marking the eccentric composer’s 100th birthday, Laura will perform concerts on the Carleton College campus in Northfield (October 13) and at the Hopkins Center for the Arts (October 14), not only celebrating Monk’s centennial but also her first new recording in more than a decade, Mysterious Thelonious. 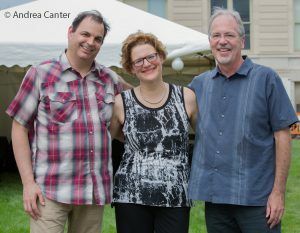 She’s joined this weekend by her recording partners, bassist Chris Bates and drummer Dave Schmalenberger, along with special guest, internationally acclaimed vocalist Karrin Allyson. 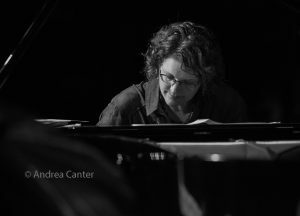 Raised in the Midwest where she studied trumpet as well as piano through high school, Laura Caviani received a Bachelor’s of Music in Composition from Lawrence University in Appleton, WI, and a Masters of Music in Improvisation from the University of Michigan at Ann Arbor. Caviani is a veteran of nearly three decades of performing, recording and composing, including appearances with Toots Thielemans, Bob Mintzer, and Dave Liebman, and touring and recording with star vocalist Karrin Allyson. As a leader she has five acclaimed recordings to her credit and a long list of supporting roles with local musicians. Projects have included her tributes to Horace Silver, Mary Lou Williams and Thelonious Monk; Soul Café with guitarist Steve Blons and saxman Brad Holden; Pete Whitman’s Xtet; JazzMN Orchestra; and her cross-genre Alec Wilder project. In spring 2011, she collaborated with Prudence Johnson, Joan Griffith and other area composers to create “A Girl Named Vincent,” setting the poems of a young Edna St. Vincent Millay to music for both live performance and recording. And more recently she has presented “From Bach to Bop” – jazz arrangements of favorite classical works– at a number of venues including the Artists Quarter, Hopkins Center for the Arts, and Jazz @St. Barneys. Laura made her formal debut as a vocalist about one year ago at Jazz Central and has since collaborated with guitarist Chris Olson on vocal performances. Her trio has also performed in the Dunsmore Room at Crooners Lounge and on the main stages of the Twin Cities and Iowa City Jazz Festivals. Laura’s latest releases include Sambanova (with Joan Griffith), mostly original works drawing from the traditions of Brazil; another set of Brazilian influenced songs, Circle of the Dance; and a 2013 remake of a holiday album, Holly, Jolly and Jazzy with Gordy Johnson and Joe Pulice. Laura currently directs big bands at Carleton College in Northfield and has previously taught at MacPhail Center for Music, McNally Smith College of Music, St. Olaf College, St. John’s University, UW-Eau Claire, UW-Stevens Point, and Shell Lakes Arts Center. Chris Bates (and his brother, drummer JT) grew up with jazz, sons of trumpeter/bandleader Don Bates. He began bass lessons in 4th grade and progressed to jazz studies at the University of Wisconsin-Eau Claire before returning to the Twin Cities to study with Anthony Cox. A member of the Motion Poets, Chris was a 1999 McKnight Composer Fellow, and often lends his compositions to the many ensembles that he juggles throughout his busy performance schedule. Over his career, he has played with Mose Allison. Lee Konitz, Joe Lovano, Steven Bernstein, Howard Levy, Michael Attias, Ira Sullivan, Eric Alexander, Tim Sparks and more. 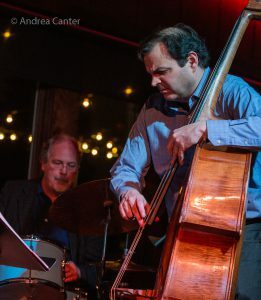 In addition to his local ensemble work, he has played solo concerts using both acoustic and electronic instruments, duets with fellow bassists Adam Linz and Anthony Cox, and appears on over 30 recordings. In 2012, Bates debuted his quintet Red 5 and a new trio, Good Vibes, with vibes master Dave Hagedorn and drummer Phil Hey. With Red 5, he released New Hope in 2013; Good Vibes released its self-titled debut recording in April 2014. Around that time he also launched a monthly improvisation series at Jazz Central. One of four recipients of a commission from local new music ensemble Zeitgeist in 2014, Chris performs regularly with too many bands to list, including the Atlantis Quartet, Red Planet, Dean Granros’ Tall Tales, Framework, Laura Caviani Trio, Bill Simenson Orchestra, and more. 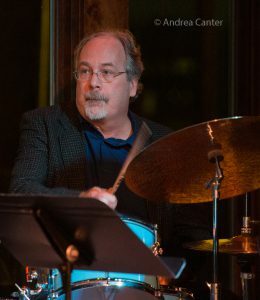 Drummer Dave Schmalenberger received his DMA in Percussion Performance and World Music from West Virginia University, his Master of Music Degree in Orchestral Percussion from the University of Michigan, and Bachelors Degree in Jazz Studies from Capital University. He has performed locally with Pooch’s Playhouse, Laura Caviani, Alma Brasileira, Joan Griffith, the Jazz Imports, Vocal Essence, Synergy (a 10-piece dance band), SCHAG (jazz percussion duo with Dave Hagedorn), JazzMN Orchestra, Benny Weinbeck Trio, Russ Peterson Big Band, Cedar Avenue Big Band, Chris Lomheim Quartet, and with vocalists Debbie Duncan, Judi Donaghy, Connie Evingson, Charmin Michelle, and Dennis Spears. Dave has also kept time for Lynne Arriale, John Scofield, Conrad Herwig, Kevin Mahogany, Steve Turre, the Jimmy Dorsey Orchestra, Cab Calloway, Rufus Reid, the Fifth Dimension, and The Mills Brothers, as well as in productions at the Ordway and Children’s Theatre Company. He also toured with the Summit Brass Ensemble and the Intergalatic Contemporary Ensemble (I.C.E.). Dave is currently on the percussion faculty of McNally Smith College of Music. 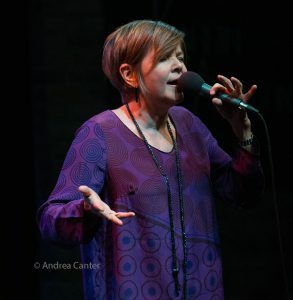 A five-time Grammy nominee whose discography ranges from Paris to Rio, from ballads to blues, from upbeat swing to gloomy contemplation, vocalist Karrin Allyson keeps forging new directions. In 2013, she put her talents as vocalist, songwriter, pianist and arranger into a Yuletide Hideaway, a sharp 180-degree turn from her previous project, 2011’s critically acclaimed Round Midnight. In 2015, Allyson released her tribute to the great songs of Rodgers and Hammerstein (Many a New Day), drawing from some of America’s favorite Broadway shows in the pared down company of Kenny Barron and John Patitucci, and earning a fifth Grammy nomination for Best Jazz Vocal Album. Born in Kansas and raised in Omaha and San Francisco, Karrin studied classical piano before being turned on to jazz (and the songs of Nancy Wilson, Carmen McRae, Billie Holiday and Ella Fitzgerald) as a college student. After graduating from the University of Nebraska with a degree in piano, she spent her early professional career in Minneapolis (where she met Laura Caviani) and then Kansas City, finally moving to New York City with orchestra conductor/husband Bill McGlaughlin in the late 90s. In addition to her frequent appearances in jazz clubs and festivals around the world, she has appeared at Carnegie Hall (tribute to Ella Fitzgerald), Lincoln Center’s Avery Fisher Hall, and with symphony orchestras around the country, including the Carnegie Hall concert series at Zankel Hall. In 2009 she was a featured guest at Jazz at Lincoln Center honoring Marian McPartland on her 90th birthday, and served as teaching artist and performer at the Litchfield Jazz Festival. Among many honors, she was named at the top of the list of Rising Star Vocalists by Downbeat in 2013; she was featured multiple times at the 60th Newport Jazz Festival in 2014. On the road about two days of every three, Karrin continues to tour extensively, from coast to coast, continent to continent. 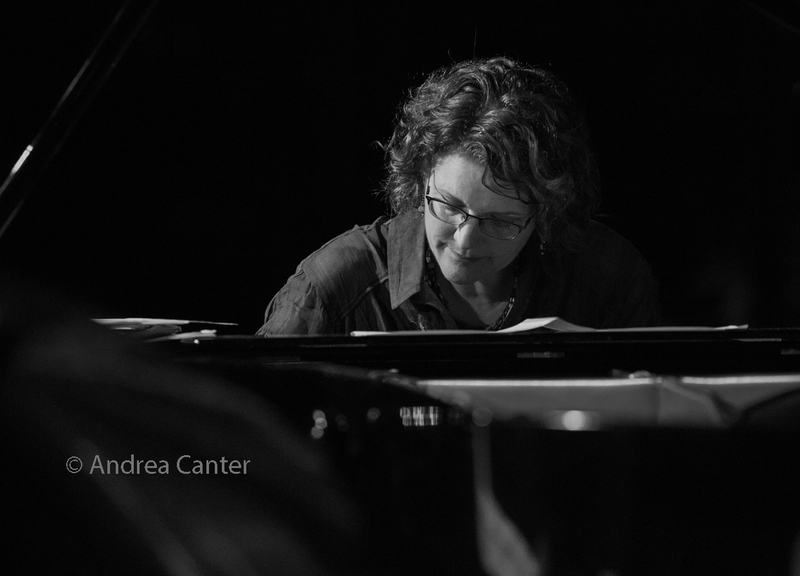 Karrin was instrumental in introducing Monk’s music to Laura Caviani, and has recorded and performed many of his compositions. She and Laura have toured together, and Laura has frequently performed on piano in support of Karrin’s nearly annual appearances at the Dakota. All three of these musicians know and clearly love Monk, and want to bring this respect to the audience in their own way without losing the basic “Monkisms” that give the music its many charms. The trio opens the set with “Monk’s Dream,” delightfully clunky as Laura deepens the original swing and Chris Bates takes wide strides with his walking-with-a-limp basslines. 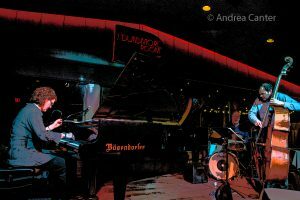 Initially “Monk’s Mood” is funereal but the interplay between piano and bass keeps the mood staggering forward as Dave Schmalenberger inserts splashy percussion. On “Misterioso,” Laura gives the theme even more of a broken rhythm than did Monk himself, while she again adds swing to “Rhythm-n-ing,” where the drum/bass interaction is particularly powerful. The one original tune here, “Active Measures” is based loosely on “Well You Needn’t,” very consistent with our expectations of Monk’s music. Laura keeps Chris and (particularly) Dave busy throughout, and her rapid runs gain intensity over the course of the tune, setting up a furious solo from Bates. A brief run through “Bemsha Swing” (about 90 seconds) finds Laura in tandem with Chris, with “Epistrophym” “Ugly Beauty,” and “Bright Mississippi” rounding out the album, drummer Schmalenberger particularly shining on the final track. It’s Monk. It’s Caviani. It’s the best of both. The first CD release event will be in Northfield, MN, on Friday, October 13th, at 7:30 pm, in the brand new Kracum Performance Hall at Carleton College, 320 E Third Street. A reception follows the concert, and no tickets are required. Laura and Karrin will work with Laura’s students earlier that day. The next night, on October 14th, Laura with Karrin and the trio will perform at the Hopkins Center for the Arts, at 1111 Main Street, Hopkins, MN. There will be a Social Hour at 7, and the concert begins at 8 p.m. Visit www.hopkinsartcenter.com or call 952-979-1111 for tickets. CDs available at the concerts. 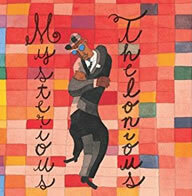 * This paragraph, written by Andrea Canter, serves as the album note on the CD cover of Mysterious Thelonious.